Wednesday turned out to be a rather cloudy day. We had noticed the motor home giving an occasional hiccup a couple of times on Tuesday, but letting it rest and cool down seemed to do the trick. However, soon after we started out on Wednesday it began to do it again, so when we happened upon a transmission repair shop during our drive through Spokane, Washington, we thought it best to have it checked out. We spent the next six hours having our lunch and catching up on some reading, while we waited for the bad news. Just before the shop was about to close at five o’clock we were told that they could find nothing seriously wrong with the transmission, but they did a complete service on it, flushing out all the fluids and replacing them. This was something that was probably long overdue. We braced ourselves for the expected big bill. They’d worked on it for five hours (they took a lunch break) after all. The light shone on us once more; we were charged only for the servicing, a flat rate of $97.00! Oh, remember the challenges we met at Best Buys back in Salt Lake City when we purchased a Verizon internet stick for the computer? We had to use an American address (thanks, Sis) to register it, but were told that after the first billing we could go online and change the address to our own. Well, Jim went online and tried to pay the first bill but because the US postal code had to be used as identification on the Verizon website, and our Canadian postal code had to be used with our Canadian credit card to pay the bill, he wasn’t able to pay it! When we left the transmission shop, we had to go in search of a Verizon store. Jim was able to pay the bill, but when he asked them to change the address on the account, he was informed that a Canadian address can’t be used. The stick should never have been sold to us if we didn’t have a US address. Best Buys didn’t tell us that. So now we have to figure out how we’ll get future bills and pay them! We finally got back on the road at about six o’clock. Jim was well rested and figured he could keep driving until we got to Kaslo. It was dark and a little foggy when we reached the mountains, but it was too late to stop then, so we kept on trucking, very slowly. It was after eleven when we pulled into the driveway at the home of my daughter, in Kaslo. I’ve spent the last two days taking care of business like filling a prescription that had run out, finally accessing my bank account (if you have a President’s Choice bank account, it’s pretty much impossible to access it in the US), doing laundry and, of course visiting with Sarah, Kendrick and my grandson, Callum. Their lives are busy as usual, but tomorrow we all hope to take in the Garlic Festival in New Denver. It will be our last day here. Monday we’ll be back in the US and heading for home in earnest. Sigh. Still so many more people and places we would have liked to visit. 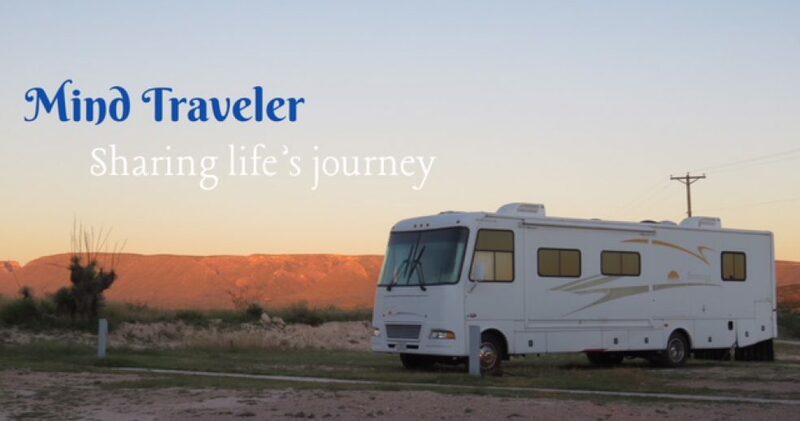 This entry was posted in RV Travel, Uncategorized. Bookmark the permalink.